Corporate Social Responsibility has always been an integral part of the Santec Group's vision and the cornerstone of company's core value. The group defines CSR as making socially responsible products. It also believes in engaging socially responsible employee relations and making a commitment to the society. The company bestows enormous importance for discharging its overall social responsibilities to the society at large. 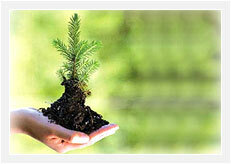 At Santec, the essential component of corporate social responsibility is to care for the society and stakeholder. The company endeavors to make a positive contribution to the underprivileged communities by supporting a wide range of socio-economic, educational and health initiatives. In fact, many of the projects or programs are driven by active participation from company's employees. Santec's commitment to address important societal needs extends throughout its philanthropic outreach programs driven by the group itself. Established for the purpose of improving, guiding and inspiring the lives of the underprivileged, Santec Group facilitates direct assistance and resources to individuals, families and charitable organizations. Personal opportunities are also provided directly to those, who have little or no access to any assistance. Santec Group has taken up several initiatives to improve living conditions of the underprivileged and make a positive difference in their lives.